1st4 Football Tickets can provide you with Dutch Football tickets to all top football matches including Ajax Tickets, Feyenoord Tickets and PSV Tickets. The Dutch Eredivisie is an exciting football league with attractive football. Top teams include Ajax Amsterdam, Feyenoord Rotterdam, PSV Eindhoven and AZ Alkmaar. 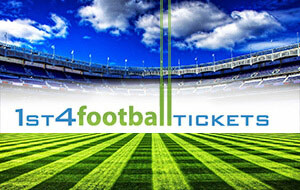 Buy Dutch football tickets or other tickets such as Champions League tickets securely online. Tickets for Dutch Football are guaranteed. Browse our website for Dutch Football fixtures and live ticket inventory for all games. With our order guarantee you can buy Dutch Football tickets or other football tickets for other games with confidence so you can see all your favourite Dutch Football players in live action!